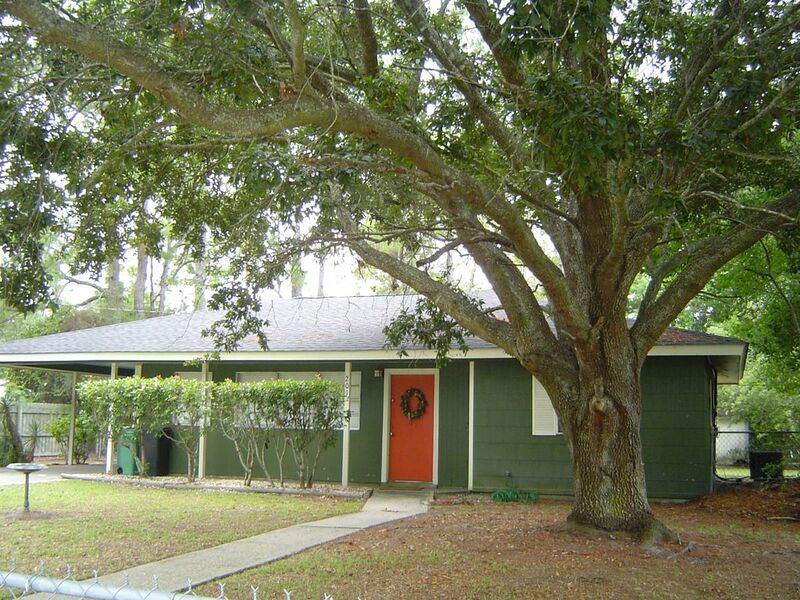 Great location, convenient to beaches, downtown, restaurants, shopping and entertainment, licensed vacation rental. Comfortably furnished (some antiques), formal dining room, breakfast area, living room, carport, washer/dryer, refrigerator with ice maker, gas stove with electric oven, microwave. Fenced yard. Fully outfitted kitchen including blender, toaster, coffee maker and grinder. Linens provided. Ocean Springs is a quaint bedroom community with unique shops, good restaurants, talented artists and artesians and fun events year round. The Walter Anderson Musuem of Art is a must see for all ages. Shearwater Pottery another. Events include: The Herb Fest, A Taste of Ocean Springs, Renisance Festival, Peter Anderson Festival, Cruisin' the Coast. just to name a few. The Mary C. O'Keefe Cultural Center offers live theater, a variety of classes including acrylics, pottery, drawing, cooking, etc.. The Ocean Springs/Biloxi bridge has a walking lane which offers spectacular views of the shoreline and Gulf of Mexico. Just a short distance across the bridge you will find casinos, the Ohr-O'Keefe Musuem, charter fishing, Lynn Meadows Discovery Center, tours to Ship Island and much more. Approximately 90 miles to New Orleans and 50 miles to Mobile, day trips to these historic cities are easy and fun. Our climate is friendly making this a great place to winter. Come visit. You will fall in love. I did. The cottage is nice. Well kept clean when we arrived with a small supply of start up items. Toilet paper, paper towels, and a few spices. Some bottled water. Any problems that came up were quickly addressed and taken care of by the owner. Lastly, it is close to train tracks and they run all night. We woukd stay again but I hope finishing the bathroom is on the agenda! In our humid environment we do experience mildew in wet areas such as bathrooms. It appears that our housekeeper missed addressing this when cleaning. We have resolved the issue and thank you for bringing it to our attention. The home was very nice and comfortable. It was close to the beaches and fishing. We had a great time at the home even though the rain came a couple days during our stay. We did have an issue with u- verse a couple of times but I think it was due to weather. Also seen a couple of bugs but that was no big deal either. We would love to come back and stay at the cottage again in the future. Exactly as advertised. A great weekend in Ocean Springs. My husband and I traveled to Ocean Springs from Chattanooga, Tn for a weekend in March. We make all natural skin products and participated in the Ocean Springs Herb and Garden Festival. The Linda Cottage was clean and exactly as it is described. We brought our bicycles with us. We found a map of bicycle routes in the information folder provided. It was very convenient getting around town on the bikes. I would definitely stay here again. Check for August/September specials! Labor Day Special - Pay for 3 nights & get the 4th free!